Home>>Good Distribution Practice • Industry • MHRA • Risk ManagementAssociates>>The Falsified Medicines Directive… and your wholesale business. The Falsified Medicines Directive is a key focus for the UK Competent Authority (the MHRA) and it is expected that as a UK Pharmaceutical wholesaler that you are aware of this emerging regulation. The FMD comes into effect 09 Feb 2019, “Brexit” or not. Around the world there are other “track and trace” systems evolving, which potentially offer benefits to patients and product quality, but can increase workload for pharmacies and wholesalers, as well as putting their businesses at risk. 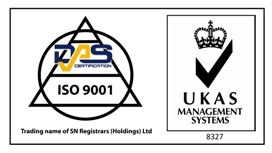 Inspectors from the MHRA (Medicines and Healthcare products Regulatory Agency) will expect your QMS to (Quality Management System) contain appropriate SOPs which cover the threat of falsified medicines, and cover checks and staff awareness of suspected falsified medicines, and all staff should be appropriately trained on falsified medicines. This definition does not include unintentional quality defects and is without prejudice to infringements of intellectual property rights. To view examples of falsified medicines, please find the link to the World Health Organization. So… does that make sense to me? In many cases, it doesn’t. 1) Real product in false packaging – Real product from Turkey has been repackaged as Bulgarian, English or French stock, but where was it stored in between? 2) Stolen product diverted back into the supply chain – Goods which were stolen in Italy were then entered into the wholesale chain. 3) False product in real packaging – where goods are relabeled for PI or where they are destroyed you must destroy the packages and PILs to prevent them being used again. 4) Empty vials, refilled and introduced back into the supply chain – Italian Herceptin, which had been refilled after being stolen from hospital. This is not an exhaustive list!! Which areas of your business are at highest risk for purchase or receipt of falsified products? Goods in – Check that products incoming look, feel and smell right. Ensure that there is no evidence of tampering. Check boxes, including tape, top and bottom. Returns – returned products must always be quality checked and assessed, with final disposition decided by the RP, and once such check is ensuring that medicines have not been tampered or falsified. Destroyed goods – did you know that the packaging and patient information leaflet form part of the products marketing authorisation? Remember to shred boxes and PILs when destroying pharmaceuticals. Murky supply chain – if you don’t know your suppliers, or how they get their stock, you could be at risk of buying falsified products. Brokers – brokers do not procure or hold medicines, and as such may never see the site that is supplying or the products. There are higher than acceptable risks that brokers may introduce falsified medicines, so ensure that you do proper due diligence on them and the supplier. This list is an example, and not exhaustive. Worried about the threat of falsified medicines? Need training on falsified medicines? Contact us for a no obligation chat and quote.